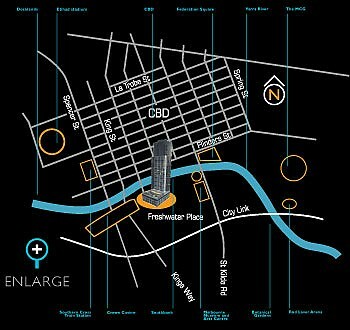 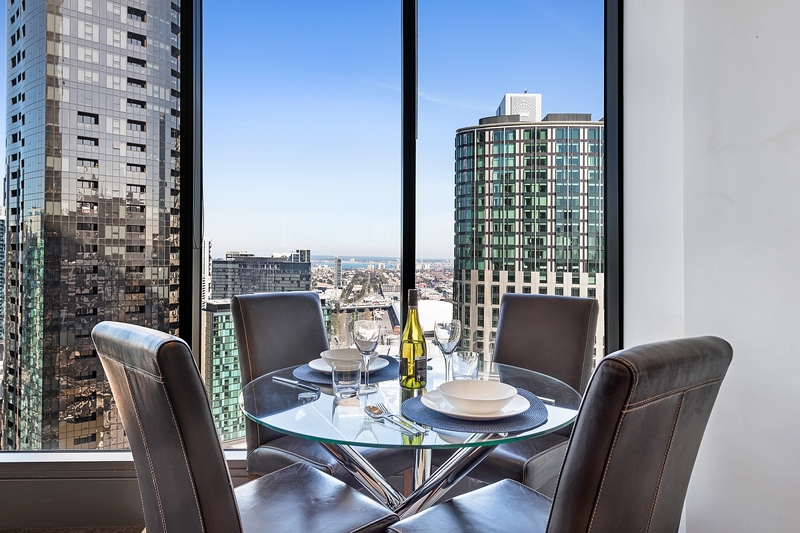 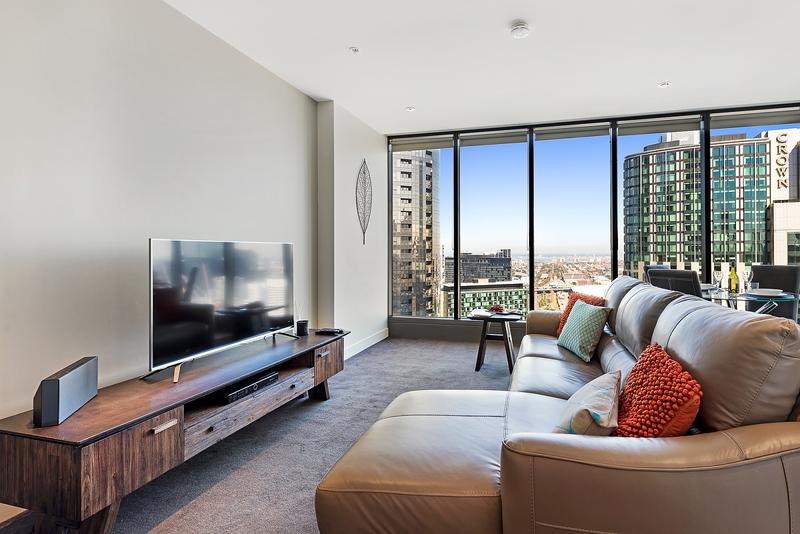 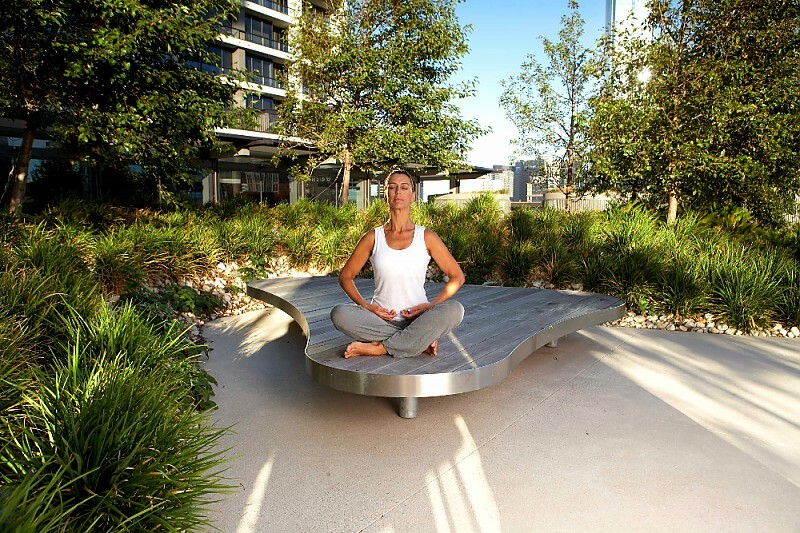 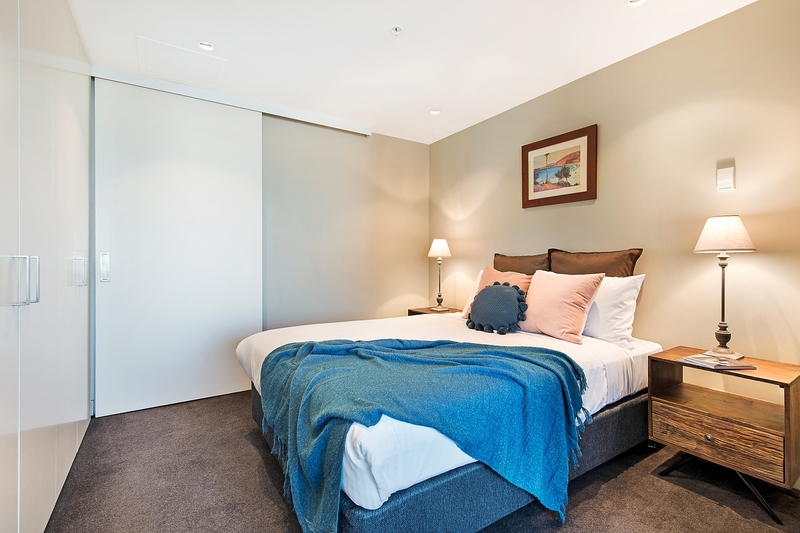 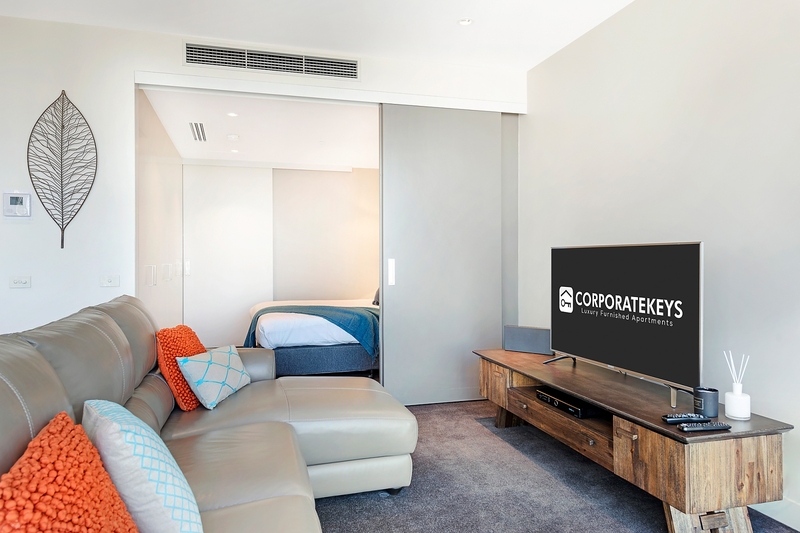 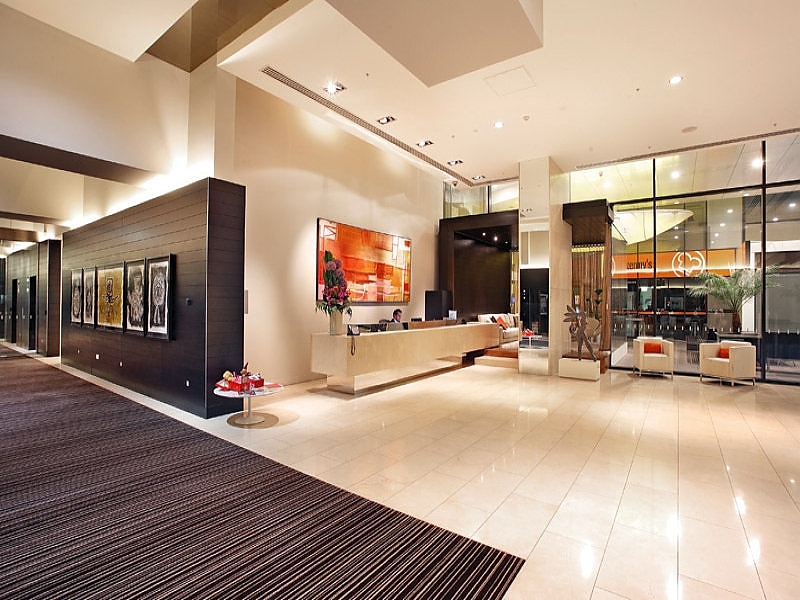 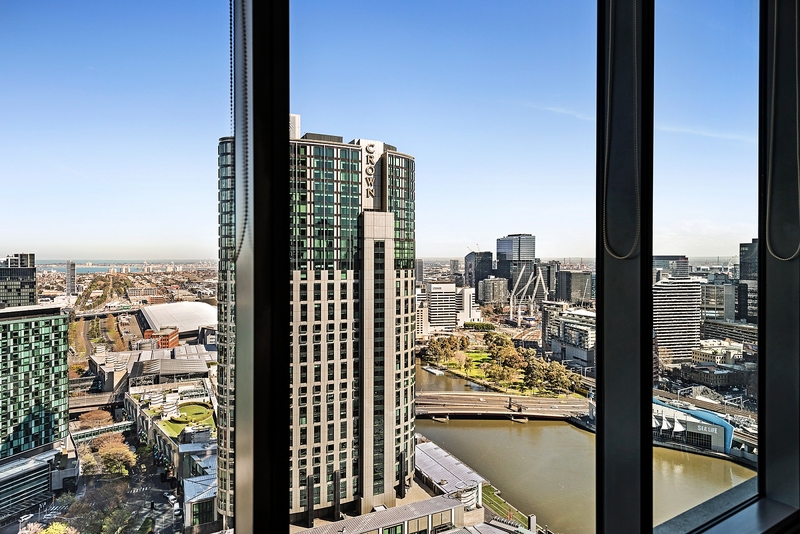 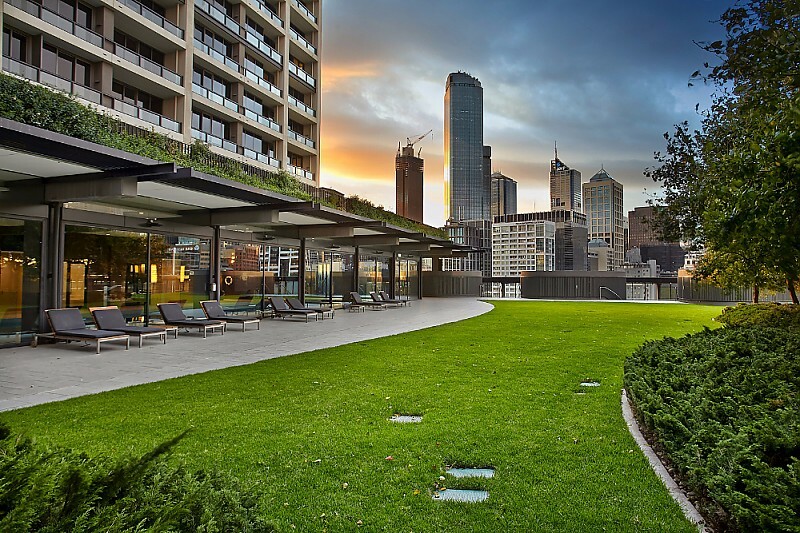 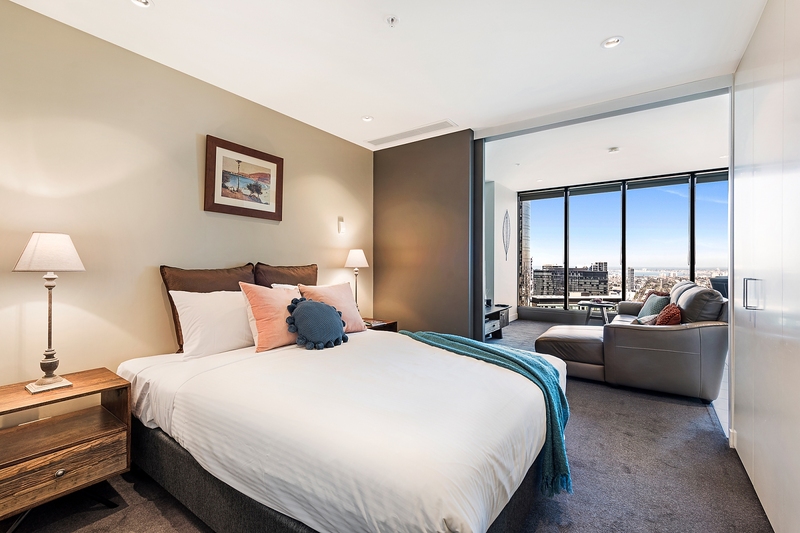 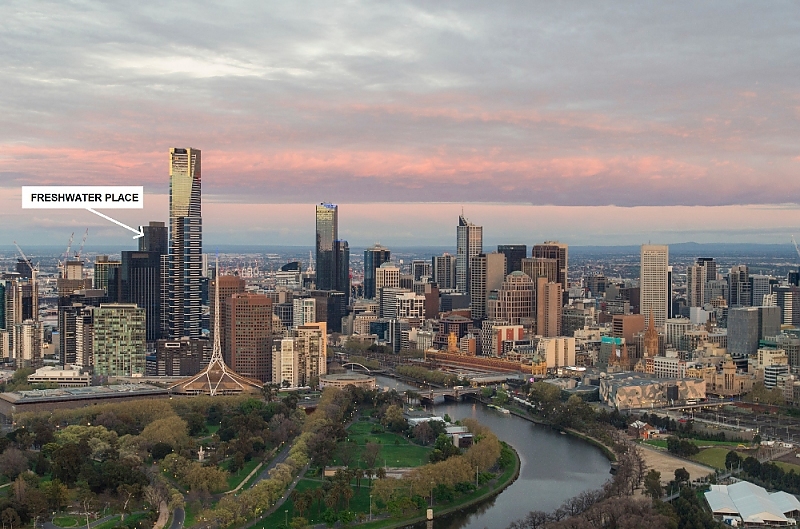 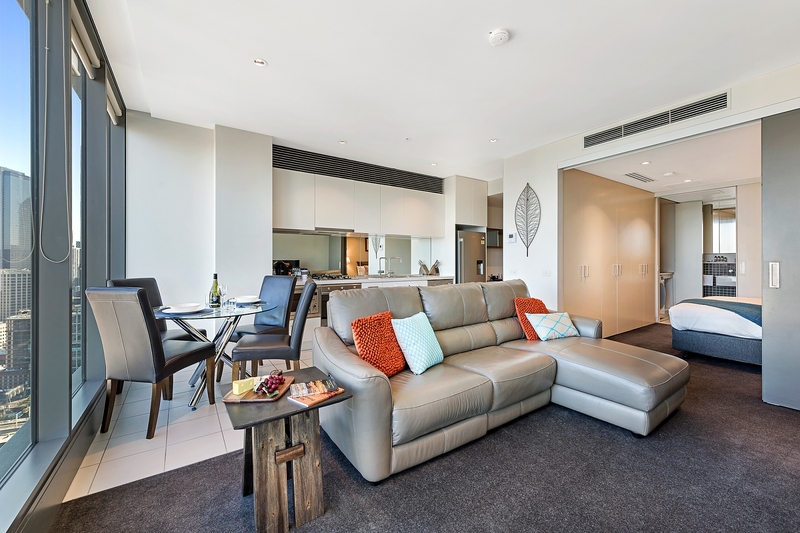 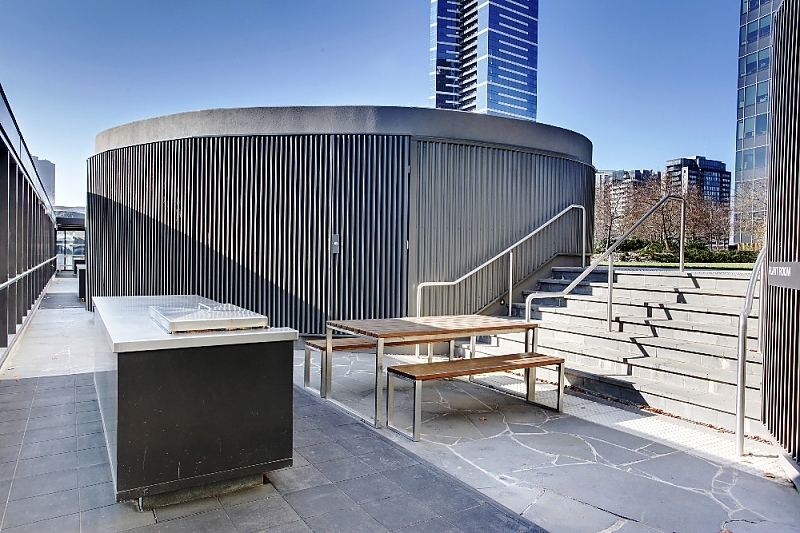 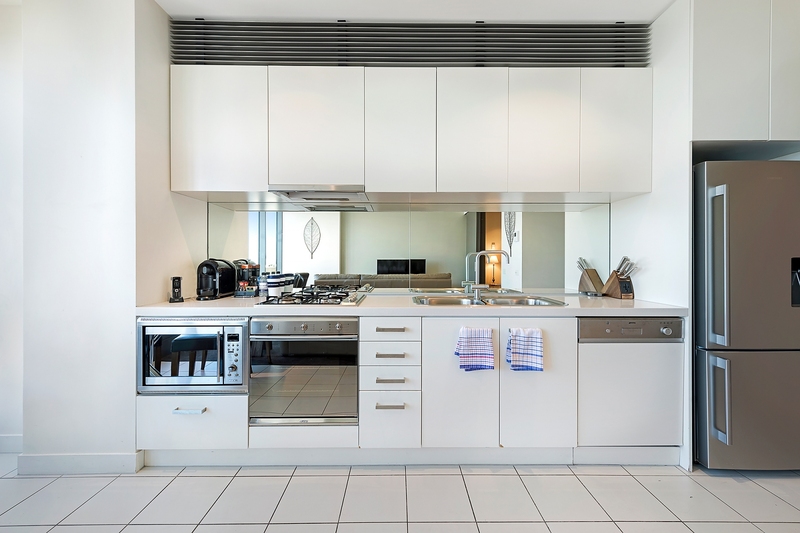 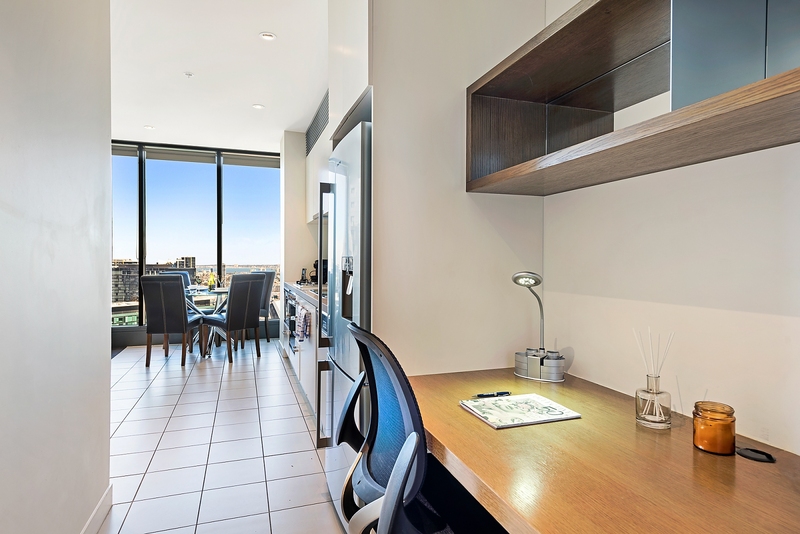 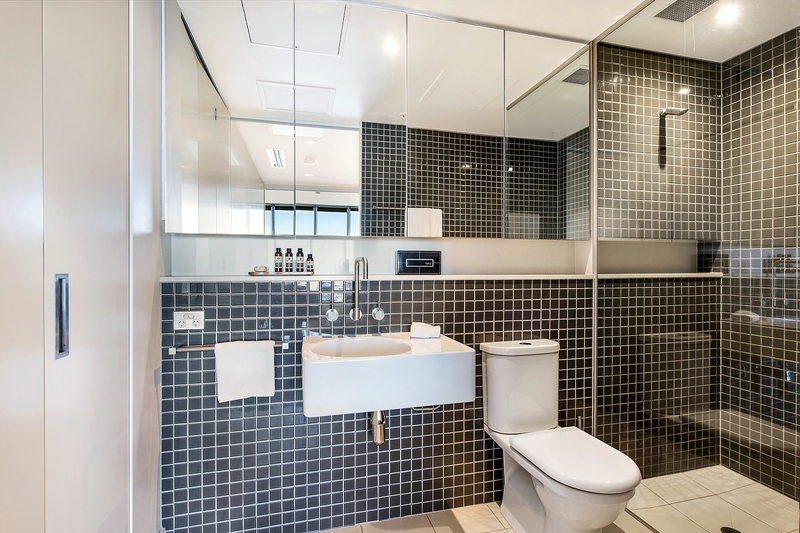 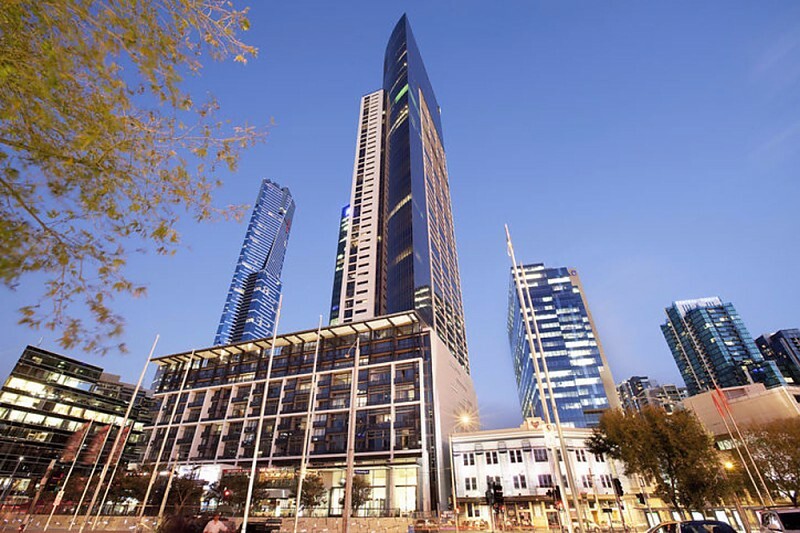 You’ll feel like you’re on top of the world in this stylish one-bedroom security apartment that boasts a prime west-facing position on the 32nd floor of a five-star residential complex, set on the banks of the Yarra River in the heart of vibrant Southbank. 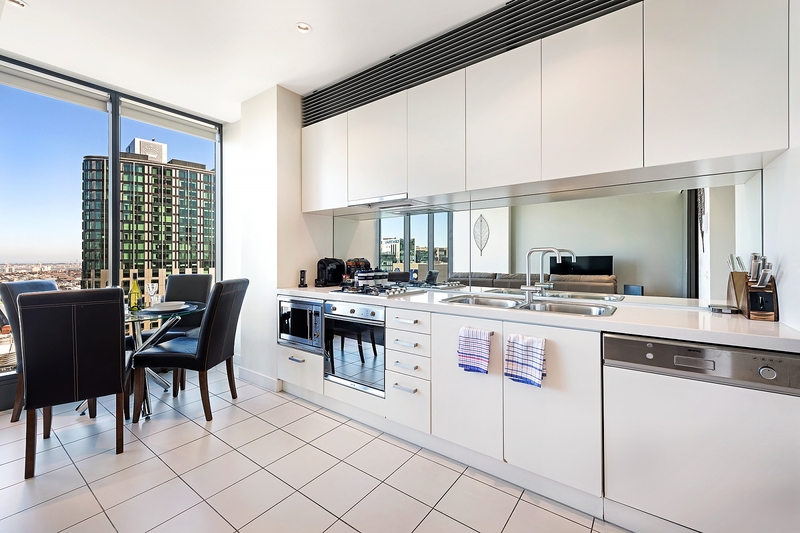 Take in incredible sunsets through the floor-to-ceiling windows in the carpeted open-plan living/dining room with adjoining galley-style kitchen that features gas cooking and European stainless steel appliances including dishwasher and microwave. 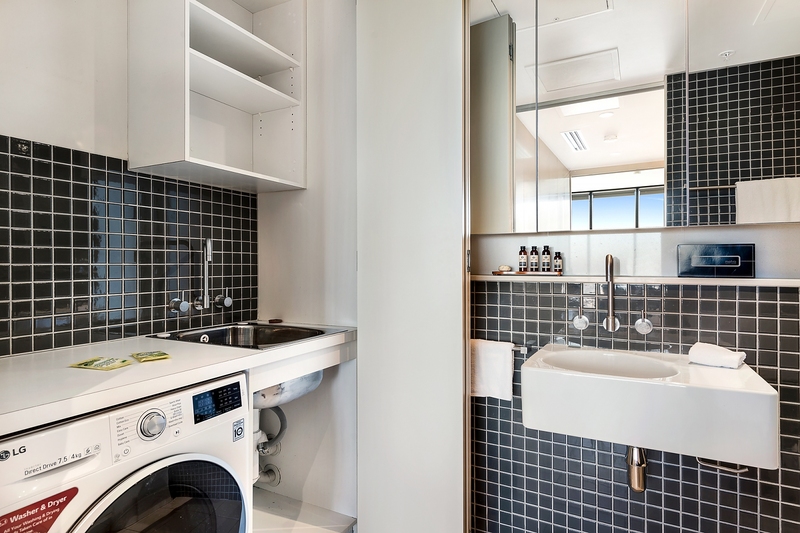 There’s a built-in workspace in the entry hall, and the generous bedroom with large built-in robe opens into a luxurious modern ensuite that features an over-sized frameless glass shower, wall-to-wall mirrored cabinetry, and European-style laundry with washer and dryer. 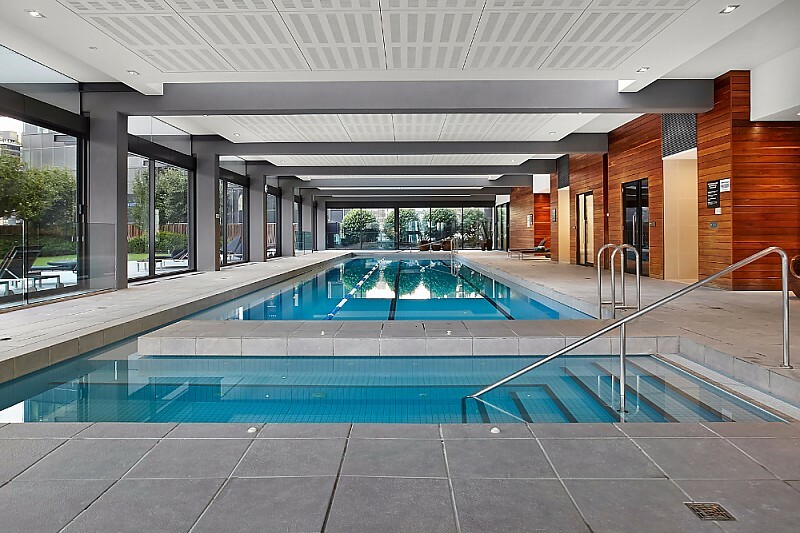 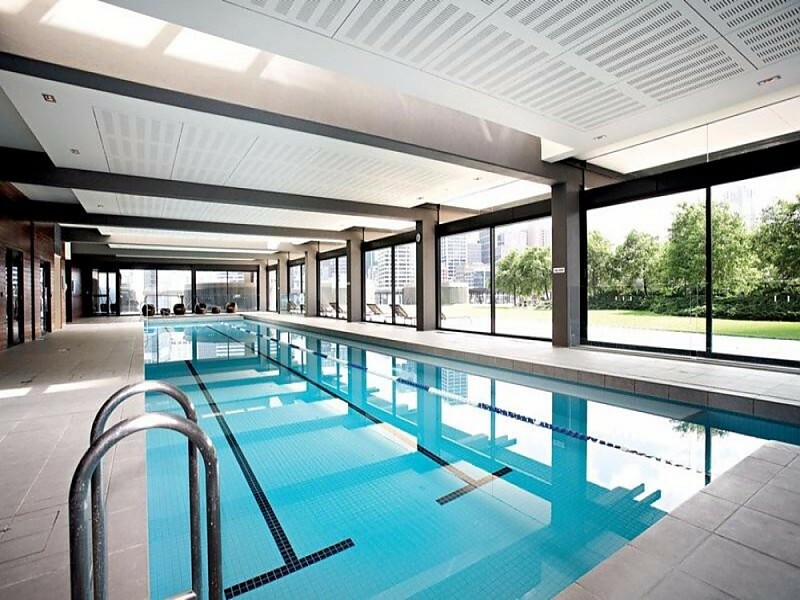 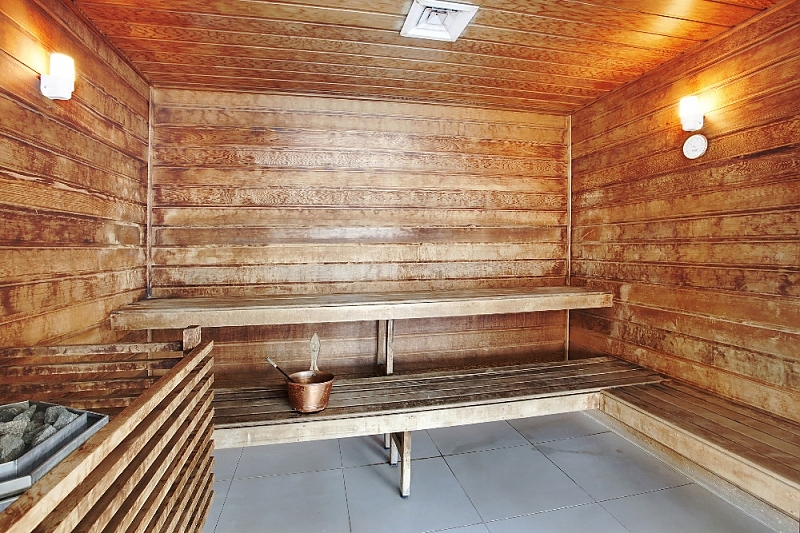 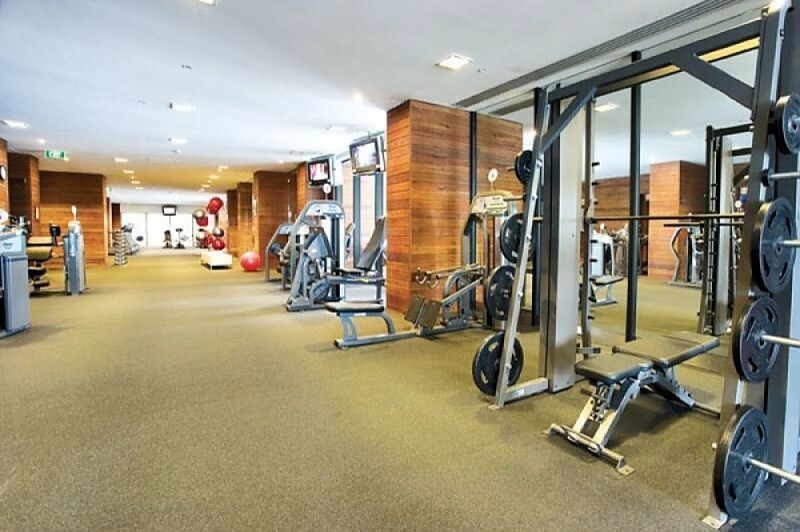 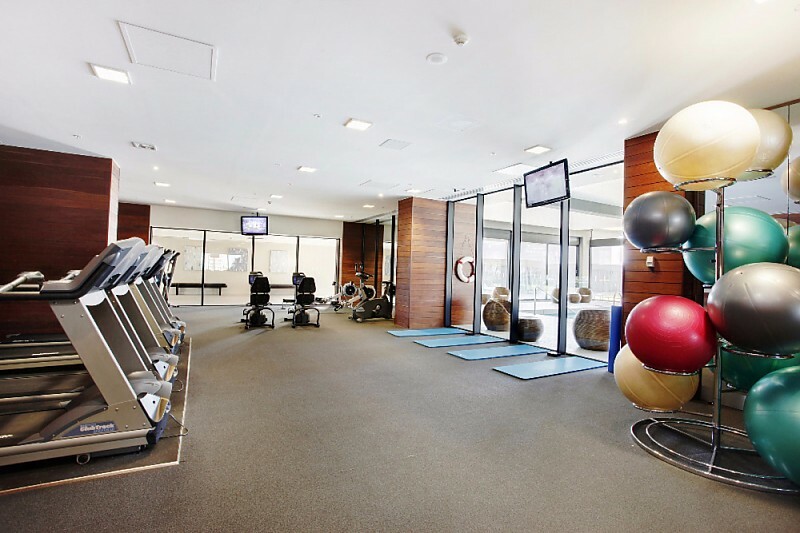 An onsite indoor lap pool with sauna, fully-equipped gym and extensive landscaped gardens with barbeque facilities make this five-star complex a real winner.